The retail conversation has shifted away from the business owners and now falls squarely on consumers. 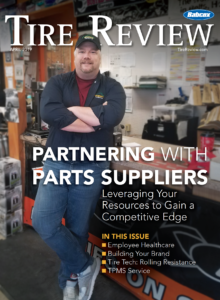 The tire-buying landscape continues to increase in complexity for independent tire dealers. To better understand today’s tire customer, we offer the Tire Review 2017 Consumer Study. In its pages, we will explore data related to what influences the consumer’s decision process when it comes to purchasing tires. This national study was drawn from more than 10,000 interviews with recent tire and service buyers in 26 metro markets across the U.S. It includes details on: how consumers research prior to a purchase decision; how brand, store and price factor into their purchase decision; why Millenials, women and men bought tires where they did, and more.